Antique rifle turns modern-day tactical! 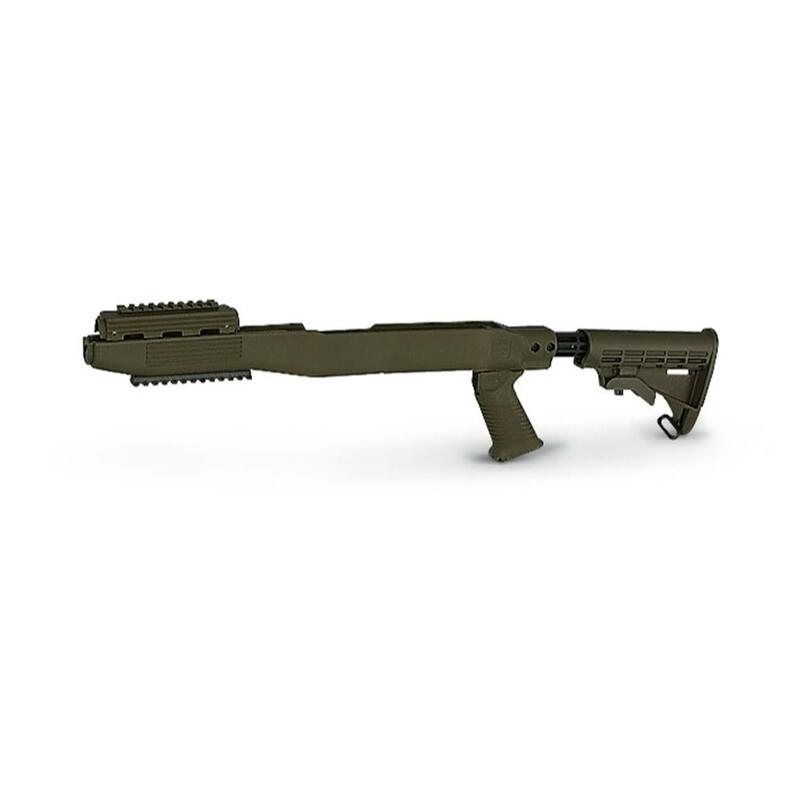 This TAPCO SKS Railed Stock System replaces all original SKS stock components with high-strength composite material. It's an easy way to replace wood furniture with super-durable, lightweight modern materials. 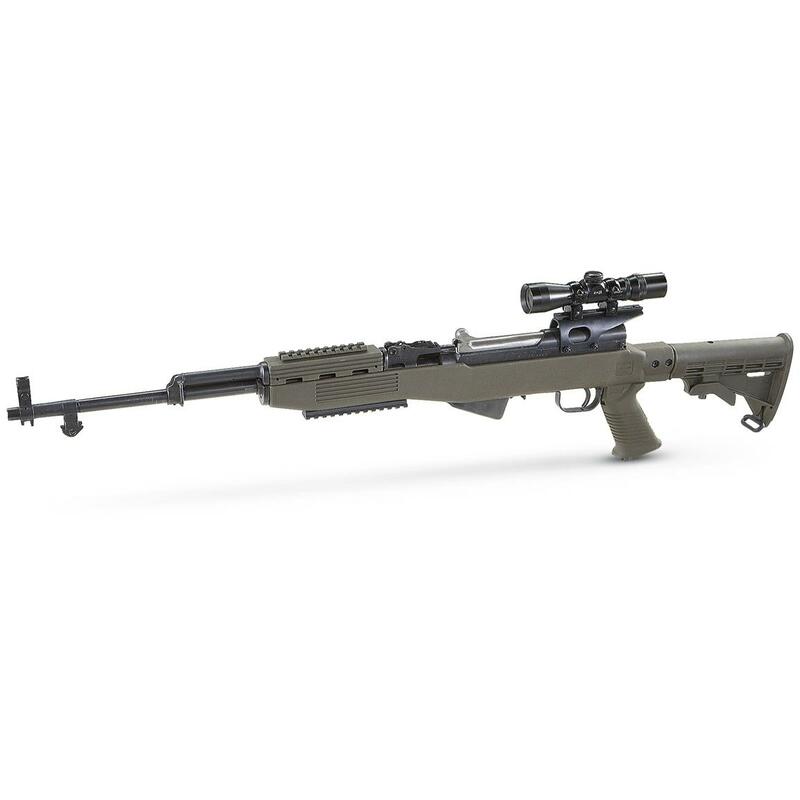 TAPCO SKS Railed Stock System is rated 4.6 out of 5 by 82. Rated 5 out of 5 by 300WinMag from Overall Happy It was pretty easy to get it together, and it really looks excellent. This is an amazing offer for the price! Rated 4 out of 5 by BPitchy23 from Much better than the word on the street Gonna try to summarize1. It is a good, tight fit, so tight I found myself having to file the gas tube cover down, and you will have to pry the body open gently to set the receiver in. TAPCO had a really good DIY on YouTube. A soft rubber mallet will be useful. 2. The adjustable stock is replaceable with most other AR15 stocks. My MOE stock fit perfectly. 3. I'm not crazy about the grip or how it attaches but it does appear to be sturdy. 4. I wish the attachment point for the stock/buffer tube was reinforced with metal but it's not bad5. Once assembled it had a nice weight to it, not too heavy, and not too light. Rated 5 out of 5 by USMC VET from Norinco gas tube, bottom rail caution Do not place the foregrip or bipod attachment bolt past the last screw on the rail - frequent recoil and torque will cause it to snap off. 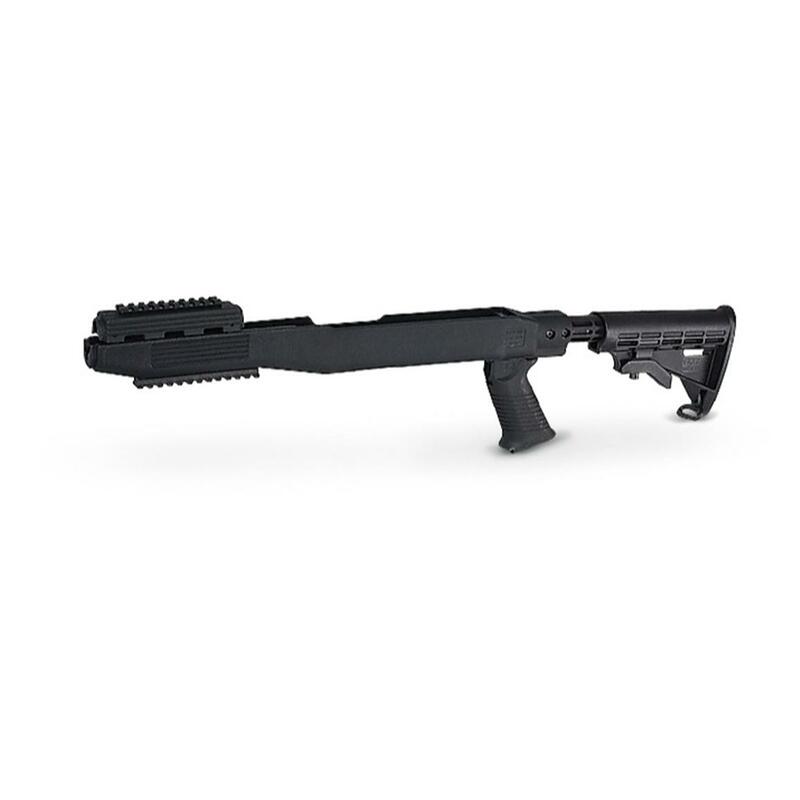 As long as the bolt is on the screw or behind it you will be fine.Norinco gas tube hand guard/rail fitment: remove about 1-2mm of material from the face of the REAR upper hand guard. Because the bracket does not extend past the bottom corners, you may also need to take the corners down at about a 45 degree angle. Do not remove any portion of the ribs as these are needed to prevent wobble of the hand guard after it is installed. Rated 4 out of 5 by JaketheSnake from Pretty Cool It would be "Really" Cool if it would've came with the Hardware it needs to fix the Handle to it. I had to contact Tapco to get them to send it to me. Its been about 2 weeks and I still haven't got the hardware in the mail. So as long as you're okay with waiting on that, then its a Sweet Deal. Rated 5 out of 5 by Motorcycle66 from I like it. There was some minor fitting to a Chinese Norinco SKS. Had to die grind the tab that goes into the notch on the front of stock. But other than that it fit fine. It's not tacticool. It's "practicool."